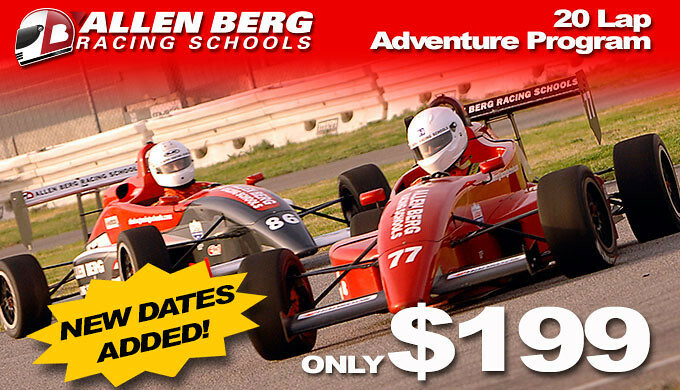 Allen Berg Racing School is continuing to offer its most popular 20 Lap Adventure Program for only $199 – a 50% savings! Other dates are continually being added. Check back often to see the most recent updates. • No Refunds. Please call to reschedule if necessary.